TIME: APPROX. 12 HOURS, 4 3-hour sessions. Full weekend or as posted during the week. The Frontier knife has been chosen for it’s classic American design and its completion is achievable within the time parameters. Your knife will look and perform just as the originals did in our pioneer era following the fall of the Alamo and just before the beginning of the twentieth century. 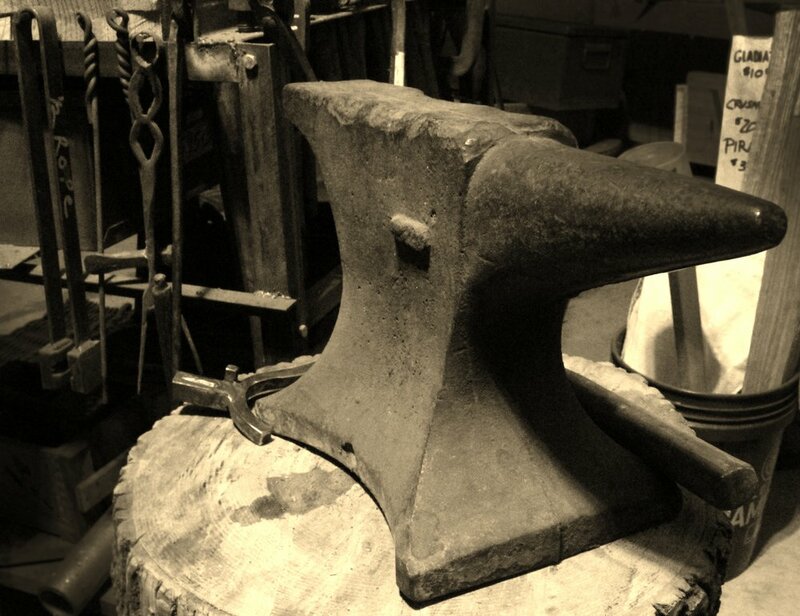 Paul White has over 40 years of “discovered” smithing and teaches its ancient methods. His mentors were smiths from generations past who earned their keep by pounding hot iron every day to make a living. He prides himself in using their “old ways” of smithing, especially in building Frontier-era knives. The Knife One class content will parallel Paul’s book FORGED Traditional Blacksmithing of the Frontier Knife, available from Amazon and on site at the Arc Academy. FORGED is recommended reading prior to class participation. The information within will accelerate participation and overall comprehension.